Do you have furniture which is not in use at your home? Do you feel, your house is messed up with unused things? Self storage is an excellent solution. To make your furniture safe and secure, you just need to do some home work, before you shift them to self storage. Proper planning and boxing saves your furniture and retain its shape and beauty, until you wish it to re-use. The major risks to furniture are moisture and humidity. Hence, while choosing a self storage, prefer for a climatic controlled self storage units. In humid climate, wood usually expands, due to extra moisture in air and in dry climate wood contracts, as it releases moisture. Hence, there should be moderate climatic condition to preserve it. Make a plan to visit the storage unit, before you sign a contract. Observe the unit for wide doors, lockers and secure walls and make sure that there are no chances of water leakage. With the right storage unit and accurate level of climatic control facilities, you can protect your furniture from major threats and risks. Use thick plastic sheets and cover the entire floor unit area before you place your furniture. This acts as a vapor barrier and helps from moisture. Dissemble all the items before you pack up your furniture. Use soap or water solution to clean it and apply wax to protect the finishing. Remove all the screws, bolts, nuts and place them safely. Use unused comforters or clothes to wrap the items which prevents from scratching. Sofas, chairs, mattresses etc, should be cleaned with antibacterial cleansers and warm water and should be dried off before packing them. For delicate furniture, use padded covers to add extra protection. Use masking tape to mark on the mirrors and glass table tops, which protects from breakage. Polish metal items to prevent from oxidation. Items made of bronze, copper etc should be applied with light coat of lacquer. Also, due to water leakage mold and mildew may grow on the wooden surfaces. Clean the surfaces with mold cleaners, detergents to protect your furniture from the growth of mold. 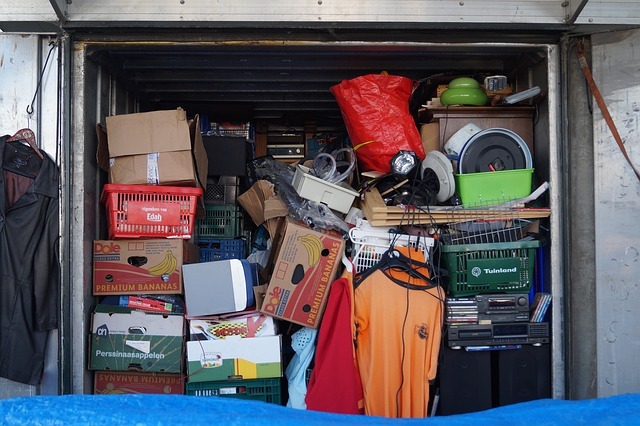 Organize your items before you start to the storage unit. Keep the one-piece items, upright against the wall like sofas. Make sure that the doors (if any) are kept open to allow air which prevents bad odor. Tables that cannot be dissembled, top down on the cushioned floors. Use covers to wrap all the tables, chairs dressers, to protect from dust. Store your mattresses standing up vertically. Do not put heavy items on them, as there can be chances of distortion. Avoid storing food items at your storage, as they may cause growth of mice and rats which can spoil your furniture. Try storing fabric goods in rodent proof containers, and make sure your unit is maintained tidy always. Also, use a few mouse traps, rat poison cakes etc inside your storage unit to keep away from rats. Make sure that your unit is insured properly. Secure it with proper lock and try visiting your unit frequently if possible. For any damages or thefts, be sure to report to the management as well as the insurance company. For more information on storage units Albuquerque.